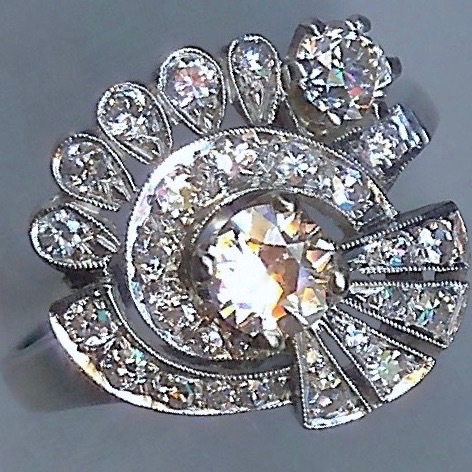 Spectacular Vintage Diamond Cluster Ring [SH10296] - £2,750.00 : loveVintageDiamonds.com, Your Vintage Diamond Dreams Come True! 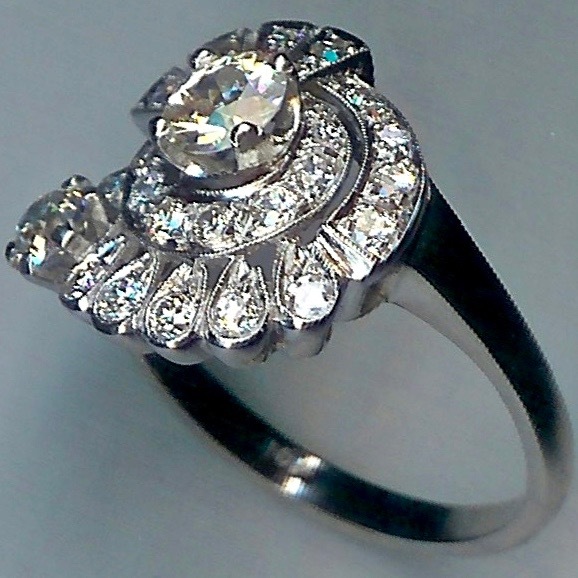 Spectacular Vintage Diamond Cluster Ring. Shell shape design. 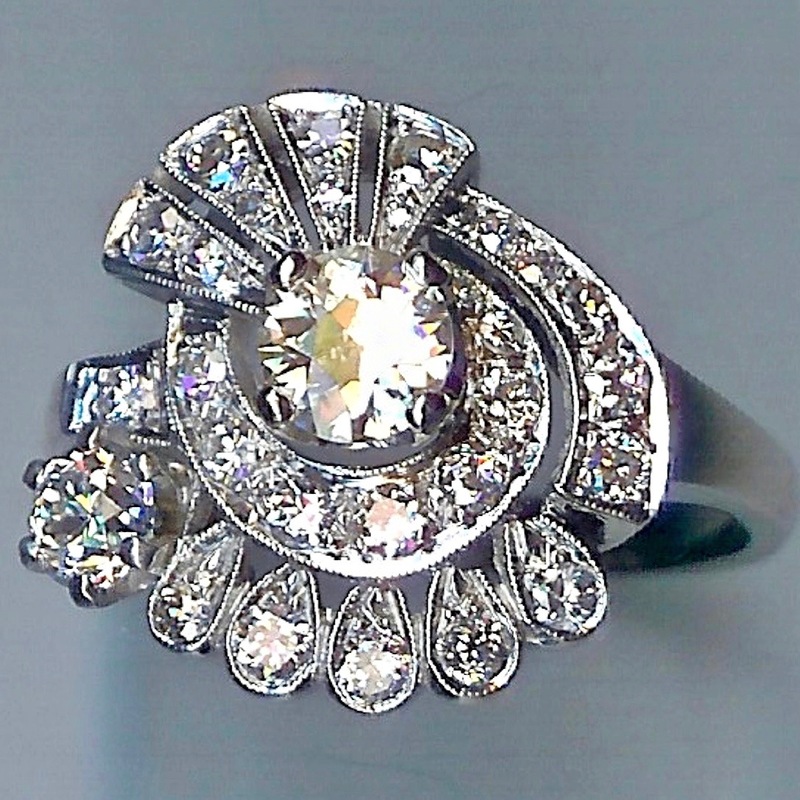 This ring is particularly eye-catching and evocative and contains no less than twenty-nine diamonds. 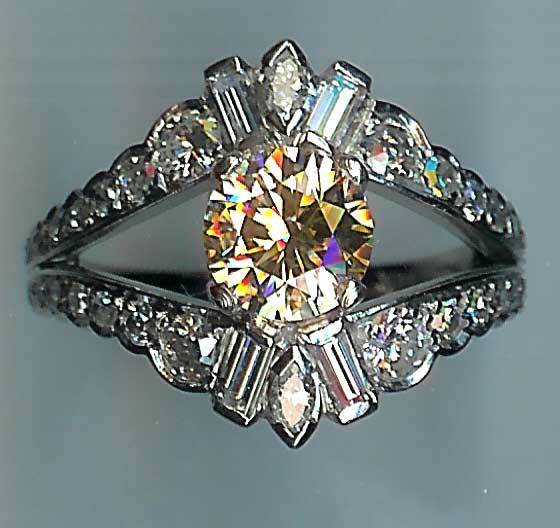 The centre diamond measures approx. 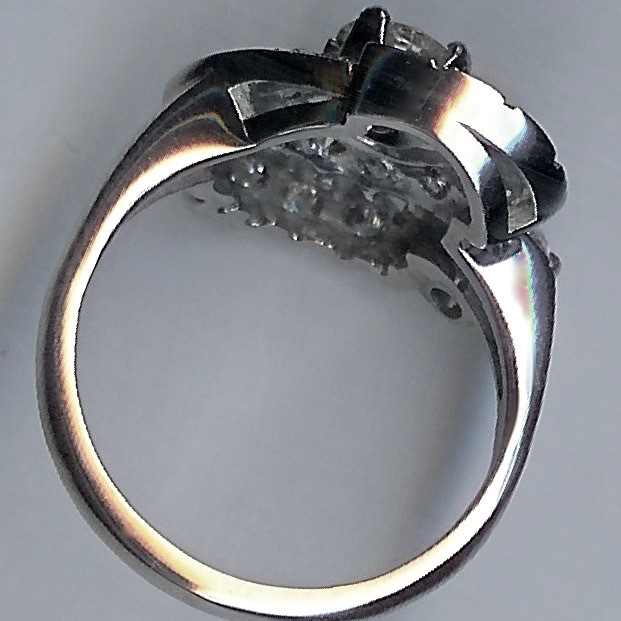 0.60ct and is set in a raised claw setting. The additional twenty-eight stones, including one measuring approx. 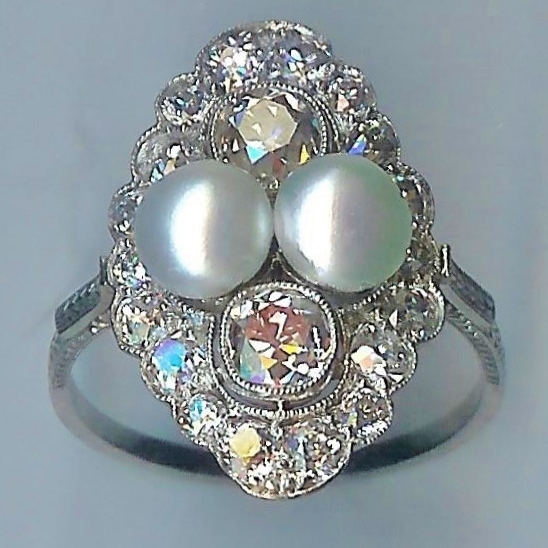 0.33cts, make an overall combined diamond weight of approx 2.10cts. The crown dates to c.1940's and the shank is a recent well-executed replacement. All white, marked '18ct' and tests as 18ct (white) gold throughout. The overall weight is approx. 6.2gms. Presently size 'R' (UK).